Many thanks to Roberto and Vic for the regular feedback and remarks. The forum was suffering from some spam. This should be solved now by a small test on astronomical knowledge for new members. 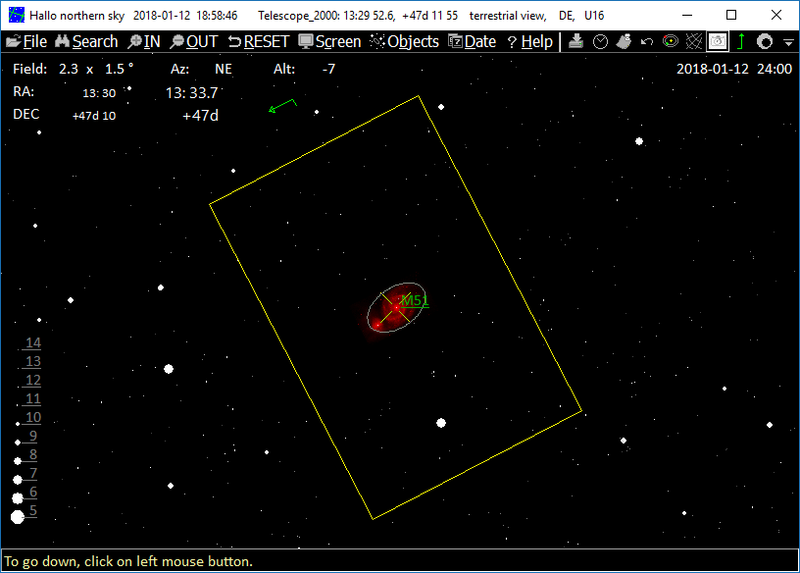 - New improved telescope cursor, the telescope position is now shown as a correct sized and orientated rectangle. Orientation can be set manually with mouse wheel while holding CTRL key down. - Goto menu has slew to functionality if "track telescope is on". - Three-state check-mark for star names. Off=bright stars only, Grayed=supplement stars only. Checked=All star names. - Vizier online server for star catalogue can be set in settings. - Added PPMXL online star catalog. 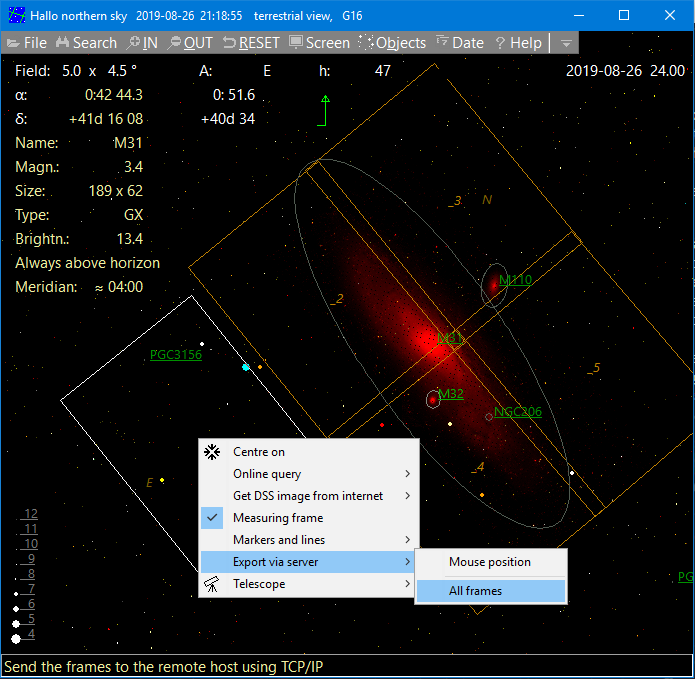 - Added Lynds (LBN) supplement containing 1125 bright nebula as supplement and brightest to the deepsky level 3 database. - Added Hickson Compact Groups of Galaxies (HCG) as separate supplement and to the deepsky level 3 database. Great News ! Thank you ! Ver 4.0.0 working well for me. Thanks Han.